TM 5-6115-628-14&P Table 3-2. 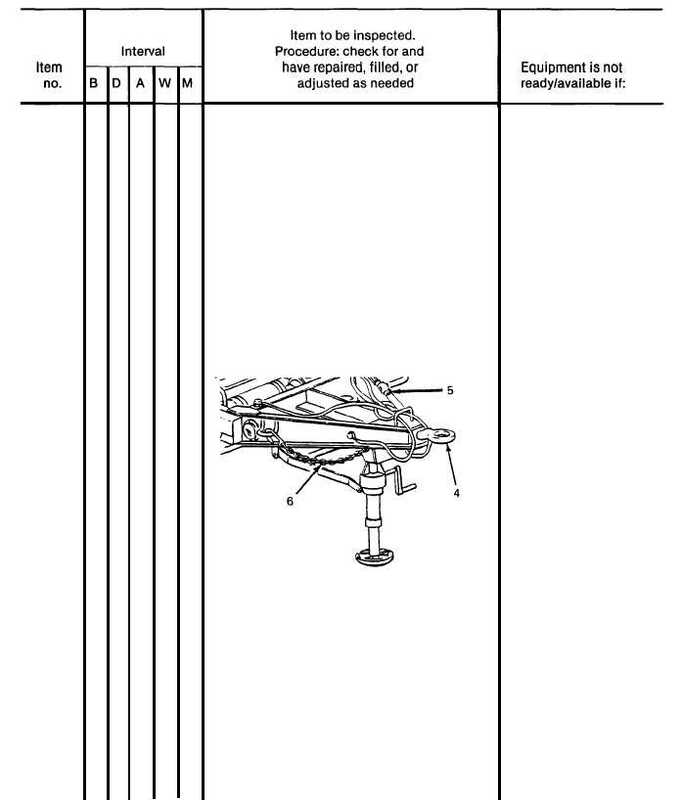 Operator/Crew Preventive Maintenance Checks and Services (PMCS) - CONT. B - Before D - During A - After W - Weekly M - Monthly 8 9 10 11 3-8 l l l l LUNETTE Check Iunette (4) for insecure mount- ing and obvious damage. INTERVEHICULAR CABLE Check cable (5) and connector for cuts and breaks. 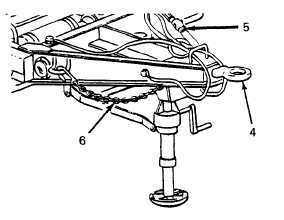 SAFETY CHAINS Check safety chains (6) for insecure mounting and obvious damage. AIR HOSES, FITTINGS AND BRAKE AIR CHAMBER Check air hoses (7), fittings (8) and brake air chamber (9) for signs of damage or leaks. Lunette is loose or bent. Intervehicular cable is broken or missing. Safety chains are missing or unsecured. Damage or leaks are detected.